Here’s a nice feature from Gawainthestout over on Hard Hobbit To Break discussing seven things he learned from reading The Hobbit. I have been reading Tolkien for as long as I’ve been able to. That is to say, that when, in fourth grade I became capable of reading and understanding the Hobbit, I did. And I have been reading the Hobbit (and the Lord of the Rings) annually ever since. It’s fair to say that the lessons taught in the Hobbit were as formative to me as a human being as those taught from my Sunday School’s Bibles or Slater Elementary’s textbooks. “What lessons?” I hear you ask. “It’s just a silly story. It’s not a parable or fable.” How wrong you are. J.R.R. Tolkien offers us seven vital lessons for life in the pages of the Hobbit for anyone with the wisdom to learn them. If you’ve never read the stories, or you’ve never delved deep enough into its secrets, I’m here to share them with you now. I think you may realize you knew many of these already. But a few may surprise you — #7 surprised me! 1. Adventures Are Hard Work. What story do you think Sam meant here, when he was making this soliloquy? 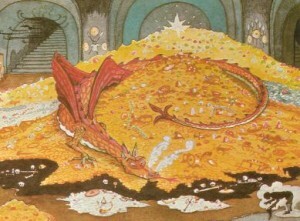 The most famous story in Hobbit history had been that of Frodo’s uncle Bilbo: the adventure to Lonely Mountain and the fall of the dragon Smaug. But as much as Bilbo liked to embellish and sweeten the tale every time he told it, the truth is more grounded in reality: Adventures are hard. They’re dangerous. They are work. Tolkien went so far to emphasize this that he literally made this adventure Bilbo’s job. He wasn’t on some noble quest. He wasn’t chosen by the gods. He wasn’t born destined for a kingship. He got offered employment, and he took it. From there on out, whether because his life depended on it — or because his job depended on it, Bilbo did everything he had to do to make sure the adventure was successful.